L.L.M Ph.D B.A. L.L.B L.L.D M.A. M.Phil. What type of courses are offered here? Is there an age limit for 5 year L.L.B. course offered by NLSIU? Sir, After graduation and can I do LLB ? Do we get internship opportunities? I am preparing for clat. I am currently scoring 85-95 in mocks. I am a dropper . 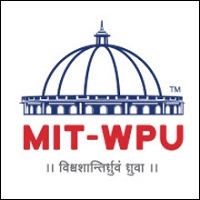 What are my chances of getting into NLSIU banglore. The group of institutions collectively known as the National Law Universities (NLUs) now number over twenty. Most of them recruit students using the CLAT (Common Law Admission Test) scores. This is considered the flagship exam, which gives entry to some of the finest Law colleges in the country. The competition for this is immense. The test includes 200 objective type multiple choice questions to be answered within a maximum time limit of 120 minutes. These 200 questions are divided into Legal Aptitude and GK hogging half the total share with 50 questions each. English and Reasoning are worth 40 each while math which is quite elementary is worth 20. For every wrong answer, a fourth of negative marks gets deducted. Success in this exam, opens the door towards some of the best national law colleges (NLUs). CLAT is also one of the few law entrances that were conducted on online mode, but has now reverted to the offline avatar. 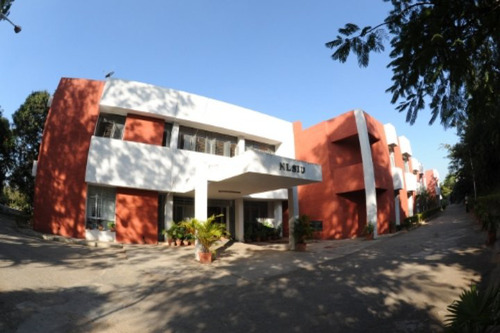 The National Law School of India University (NLSIU) in Bengaluru was the first of the NLUs to be formed in the year 1986. It was modelled on the lines of the Harvard Law School. By 1991, the NLSIU had become a fully- residential campus. It is built on a total area of 23- acres of land. Courses are available here at the NLSIU right from the UG till doctoral levels. At the UG level, the flagship five- year integrated programme BA LLB is offered. The LLB of course is the standard degree offered to Common Law countries’ legal study graduates. At the master’s level, there are two courses available here. One is the LLM which is a one- year programme. The other is the two -year MPP (Master of Public Policy). The M. Phil and PhD. are field- oriented degrees. Some distance learning and online certifications may also be undertaken from the NLSIU. The institute is also a leader when it comes to legal research. For this purpose, specific centres of excellence have been created to facilitate the same. There are centres here for the areas of – Outreach Programmes, Labour Studies, Cyber Laws & Forensics, Intellectual Property Research & Advocacy, Environmental- Education & Research, Social Exclusion & Inclusive Policy, Child & the Law and for Women & the Law. 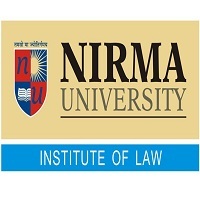 Within the NLSIU, there is also a National Institute of Human Rights (NIHR) and the National Institute for Alternate Dispute Resolution (NIADR). There is also the TILEM which expands to The Institute of Law and Ethics in Medicine. The International Bar Association- Continuing Legal Education Centre (IBA- CLE) looks after the aspect as understood from the title. The NLSIU being such an important centre, also has multiple Endowment Chairs. There is one for instance on Constitutional Law named after Shri MK Nambiar. There is a UNHCR (United Nations High Commission for Refugees) Chair on Refugee Law. Another is the NHRC (National Human Rights Commission) Chair on Human Rights. The leading financial institution ICICI has set up a chair on business laws. Top corporate house Reliance has done one for Corporate Law & Governance. The Ministry of Commerce has established the Chair on WTO (World Trade Organization). Other prestigious chairs have been set up for the tasks such as – ADR, Public Law & Public Policy, Juvenile Justice, IPR (Intellectual Property Rights), PIL (Public Interest Litigation), Revenue, Urban Poor & the Law and one on Business Laws besides some others. The largest law library in India is present here, known as the Melgiri Memorial National Law Library. All student activities get monitored within the SBA (Student Bar Association). Several committees have been formed within the SBA. These are for the areas such as – Academic Support, Cultural & Fine Arts, Finance, Event Management, Law & Society, Law & Technology, Literary & Debating, Sports, Moot Court, Promotion of Legal Awareness and a Legal Services Clinic. The NLSIU has forever stood for the spirit of competitive, parliamentary debating, which it continues encouraging. 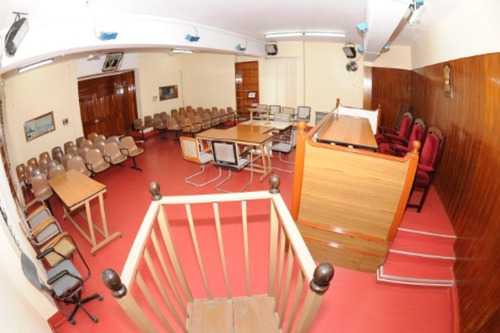 Moot court contests are also held here. 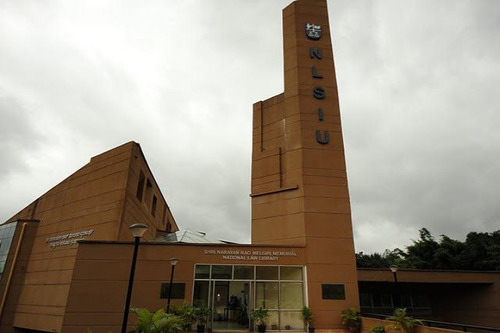 The NLSIU has also forged strong ties with academic partners abroad. 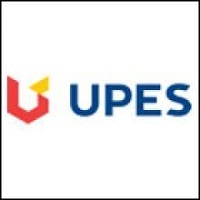 Student exchange programmes are run with these institutions. These institutions are based in the countries such as – USA, Canada, Germany, Australia, Switzerland, Italy, Singapore, France, Sweden, the Netherlands, Israel, Taiwan, Spain, and the Republic of South Africa. All this and much more has prompted all rankings platforms to place the NLSIU extremely high up all tables. Among law institutions, it was ranked 1st at the NIRF (National Institutional Rankings Framework) 2018. Boys Hostel :There are three Halls of Residence for men known by the names Ganga, Cauvery, and Himalaya. Students are each provided with a cot, cupboard, chair, and desk. They are advised to bring their own mattresses, curtains, and bed-linen. Hostels have 24-hour running hot water facility. Laundry facilities are also made available on campus. 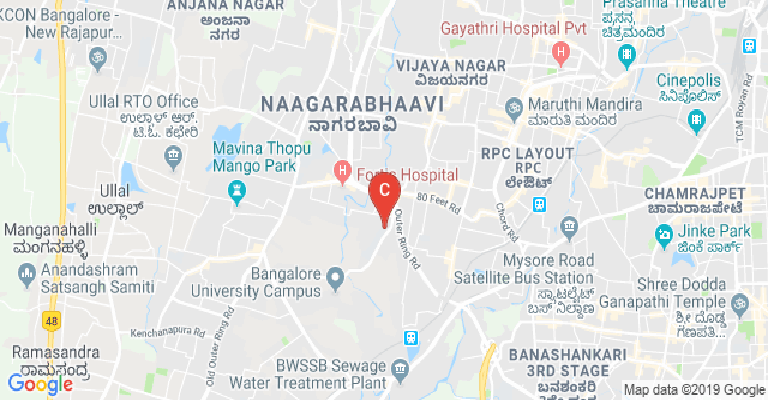 Girls Hostel :There are three Halls of Residence for women known as Nilgiris, Annexe and Mess Block. Students are each provided with a cot, cupboard, chair, and desk. They are advised to bring their own mattresses, curtains, and bed-linen. Hostels have 24-hour running hot water facility. Laundry facilities are also made available on campus. Medical/Hospital :There is a Health Centre on Campus to attend to immediate necessities of health care. The college has institutional arrangement with S.K. Hospital, Nagarbhavi, situated close by, to provide hospital attention including in-hospital care where required. Gym :A new fitness center and Gym facilities with state of the art equipment underway. Arrangements have been made with the Sports Authority of India complex nearby for use of their facilities. We have plans to build a new football and track and field ground on additional land as and when acquired. Library :The library is the ‘heart’ of any academic institution and plays an important role in all academic activities and, the more so, in law institutions. This is a three-storied building of 30,000 sq.ft. built-up area with ample space for storage of books and for reading purposes. 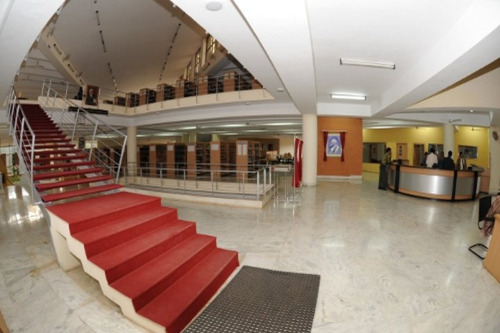 The library has been planned keeping in view the aims and objectives of the Law School, and is being operated by a team of professionally qualified library staff guided by the Library Council. 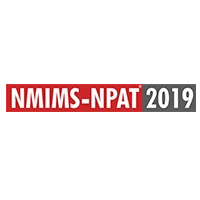 It has a collection of over 40,000 volumes covering a wide range of general and special subjects, comprising of text books, reference books, back volumes of journals and reports etc., apart from current legal periodicals. The Library functions from 8.30 a.m till midnight on all days of the week, but closing hours will vary on Holidays. Sports :From its inception, the School has taken efforts to build sports facilities for students. 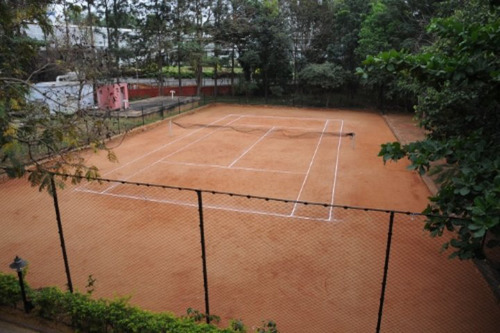 Currently, the Law School has a basketball court, a tennis court, and indoor facilities for table tennis at the hostels and in the Academic block. A couple of years ago, a new fitness center with state-of-the-art equipments was also inaugurated. Arrangements have been made with the Sports Authority of India complex nearby for the use of their facilities. Plans for a multipurpose sports facility within the Law School campus, in the newly acquired 5 acres of land, is underway. I.T Infrastructure :The IT infrastructure has grown tremendously over the past few years. The bandwidth for Internet Services has been increased almost tenfold and is now 12 Mbps. This caters to the wireless network in the classrooms, academic block, library, hostels and faculty blocks. A relatively new computer lab is located at the library. The infrastructure has been recently overhauled to improve the quality of the internet facility. All classrooms are equipped with computers and projectors. To further enhance the quality of classroom experience “E-Class” equipments are installed in a few. This will soon be extended to other classrooms. Cafeteria :A canteen facility is provided in the Academic Block which is open from 9.30 A.M. to 6.00 P.M. One can get soft drinks, eats, as well as regular meals and other items for breakfast and afternoon snacks. For the convenience of students three outlets providing snacks and refreshments are there near the Halls of Residence. Alumni Associations :The NLSIU Alumni Association has been formed to strengthen the bond between alumni, our alma mater, NLSIU, and the students currently pursuing courses at NLSIU. 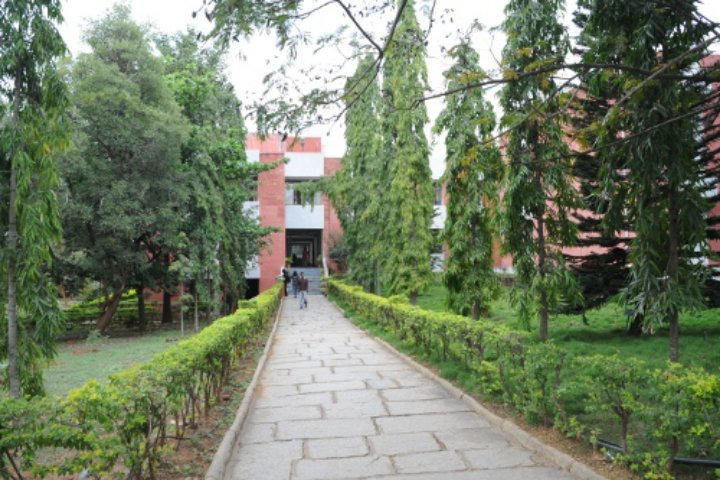 Banks/ATMs :The Corporation Bank has a branch with ATM facilities situated on the campus. A branch of the Axis Bank, with ATM facility, is underway nearby, about 5 minutes’ walk from the equipment. Within a radius of 3 kilometers, there are besides these two, other banks like SBI, SBM, ICICI, UTI, HDFC, and the CITI BANK, all with ATM facilities. Moot Court :The Moot Court Society (MCS) is the student committee entrusted with the responsibility of administering mooting activities and upholding the high standards of excellence that the NLSIU has set itself. Mooting as an activity can perhaps best be described as the closest one comes to being a lawyer while still in law school - it involves identifying legal issues in situations, exhaustive research in that area of law, followed by extensive written submissions and gruelling orals before a bench of eminent judges, in short, everything a lawyer is expected to do. Guest Room/Waiting Room :The University has a Guest house facility available.